I have gotten some sneaky peeks from the photographer (like that great pic above) and CAN'T WAIT to see more! HOWEVER, before we share the party I wanted to give some vendor shout outs! Whenever I see party features I only ever see the vendors name and link at the bottom of the party post... which is great, but I always want to know more! 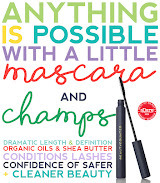 SOOOOO here is a list of some amazing vendors, ladies also following their dreams! 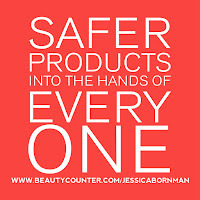 Places where you will shop and your purchase matters! 1. Pom Flair: The cutest poms ever... great color selection, super full poms in various sizes and Carmen, the shop owner is super lovely. Pom Flair also supplied the poms for our Halloween Party... super fabulous, can't say enough nice things! Thanks Carmen... 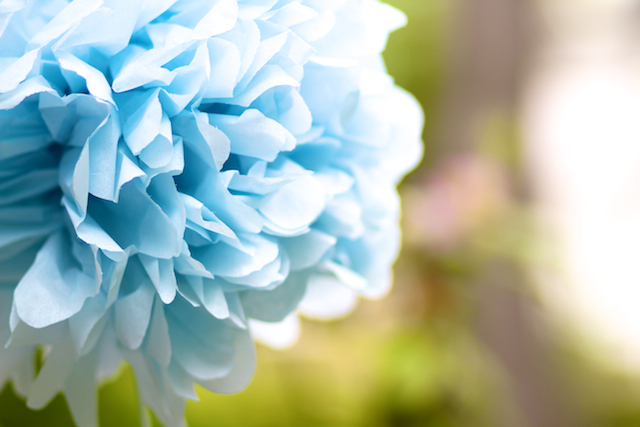 YOUR POMS ROCK, well beyond rock- they are fabulous! 2. 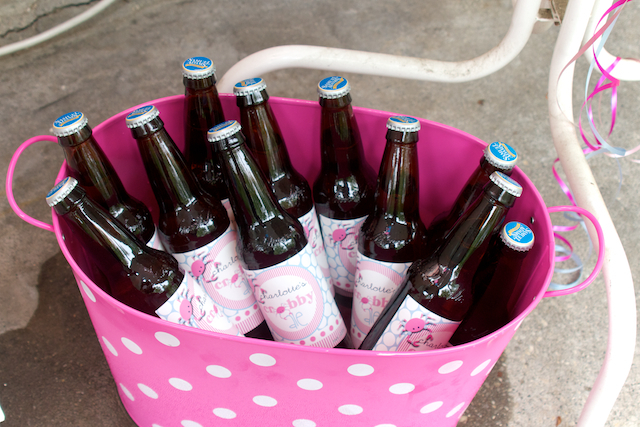 Bottle Your Brand: I love BYB... I have used their water bottle labels and even beer labels at every single one of my parties, not just one party... but every single party! Their quality, simply put- fabulous! These labels can sit in water and still look amazing! When all that ice melts, rest assured- your labels still look great! The best part, I can design a label and have them print it... can't beat that! 3. Lynlee's Petite Cakes: WOW, is all I can really say! 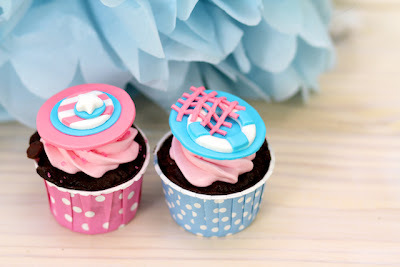 Fondant Cupcake Toppers to just swoon over. 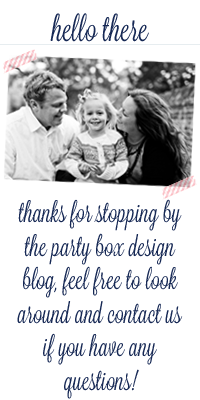 Lynlee is one talented lady and as sweet as her little toppers! She created the most amazing lil crabby toppers for Charlotte's party, well more then crabbies... beyond cute little hand made creations. Which I must add arrived in PERFECT condition. Lynlee's Petite Cakes are a must at every party, just works of art! Thanks sweet lady! 4. CupKate's Event Design: Every now and then you see a genious idea and think, wow... that is awesome! 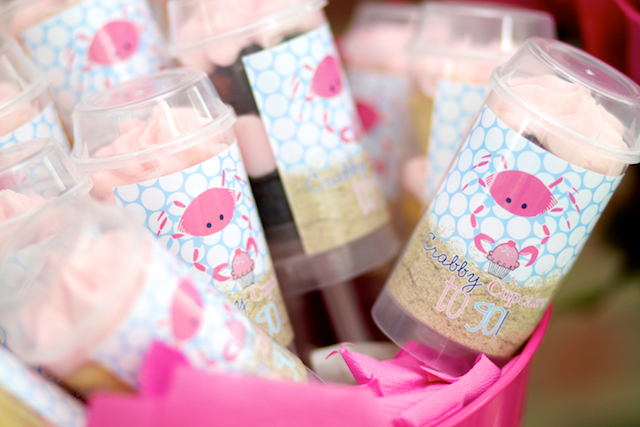 Well, that is how I feel about cupcake push pops... the PERFECT Party Favor. I mean really, so beyond cute and your kids will just love them. Gosh, even more then kids- these could be great wedding favors too! Anyhoooo the lovely Kate sent us some fab push pops and they were AWESOME! I baked some mini cupcakes and added a cute sticker and wow, beyond cute! Thanks Lady! 5. Cookies are my Canvas: Chills... that is what I got when I opened the perfectly wrapped box of cookies from Christina. I am not even sure if these can be called cookies, they are really just to divine to eat... but then when you eat one, oooh sooo good that you want another. These cookies are AMAZING, really- just beyond! If you are looking for iced cookies, this is the place to shop... but you better order early because talent like this, books up fast! Thanks Christina, gosh one talented lady! 6. Polka Dot Market: OK... so I am not sure if there is a place where you can get cuter polka dot items! 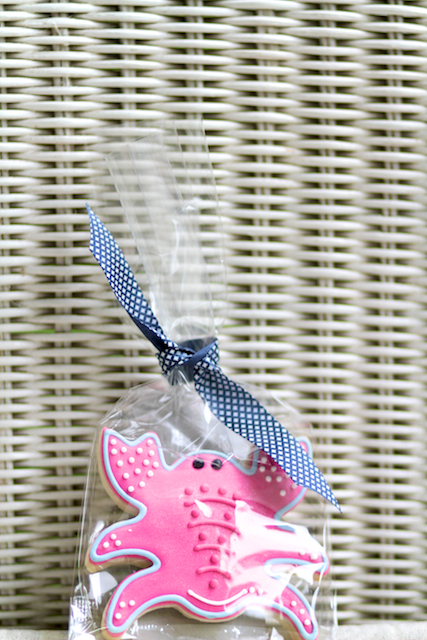 Too many cute items to mention, however we were blessed to have some fab polka dotty items at the crabby party! 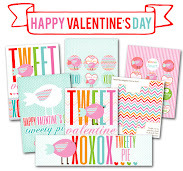 Well that and some awesome stripped straws... so not only polka dots but just fab party ware! 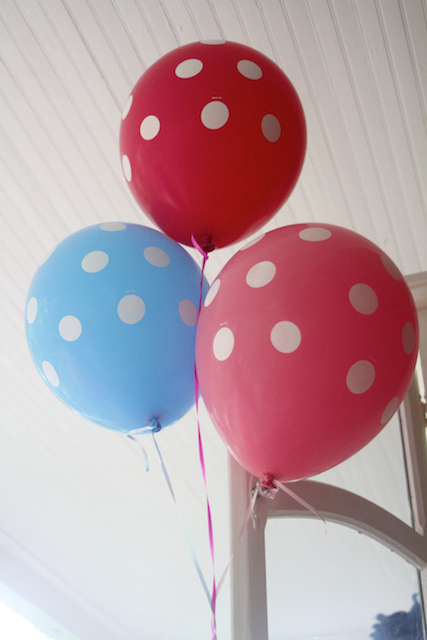 Ohhh and the cutest balloons ever! Thanks Sally! 7. Coffe, Crafts & Cupcakes: Ummm one of the best blogs ever, a seriously talented lady, my web designer, friend, tutu maker and overall craft-a-holic! 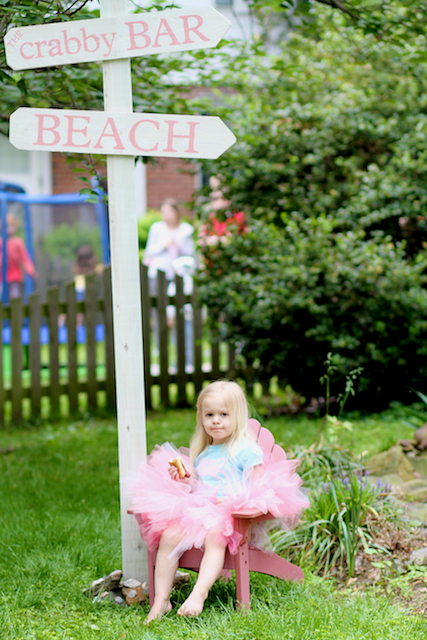 This sweet lady surprised us with the MOST AMAZING Crabby Tutu Outfit EVA! OH yes, so cute I almost cried happy tears! Thanks Amy, I feel so blessed to have met you! 8. Lulu & Co: Ohhhhh and of course, we can not forget the PARTY HAT! Now this is not just ANY hat... it's the cutest party hat ever, and hand made by the sweetest lady! 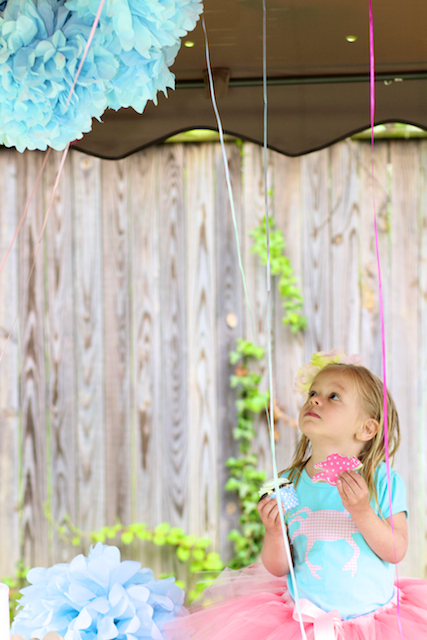 Jessica makes the most gorgeous birthday hats to match any event, with insane fabric! 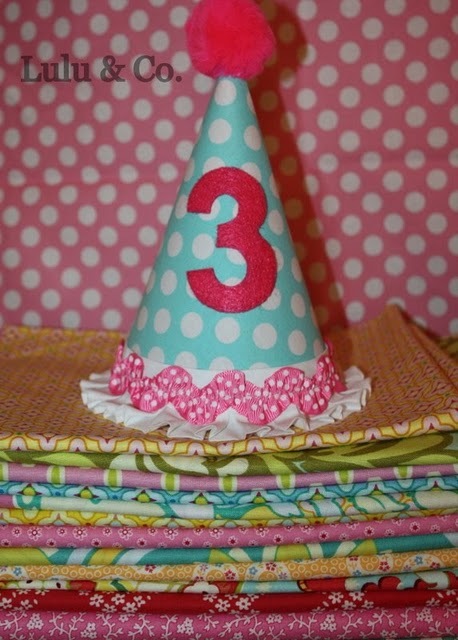 You must pop on over and check out her out of control cute party hats! 9. God Mother, Mom, Husband, Neighbor, Cousin, Sister, Friends: Hosting a party like this just doesn't happen over night... or even 30 "over nights", this type of party takes a village! That and some cocktails... lol! Really, the words thank you are never enough- however, I could not pull of a party like this alone. So much THANKS to all of you who helped make Charlotte's Crabby Party our best yet! PHEW.... this is one MEGA long post! I BEYOND can't wait to see the "real" party pics, so stay tuuuunnnnned for a B.I.G Party Post!!!!! P.S. I apologize for typos... can't get spell check to work! OMG...I love everything about this party! You do amazing work! Looking forward to the professional photos! Can't wait to see more- thanks for the mention lady! I love every single details, love it! So CUTE!! Can't wait to see all the pics! CANNOT WAIT! :-) SOOO cute! I can't wait to see all of the pics! What an amazing party! Absolutely adorable.